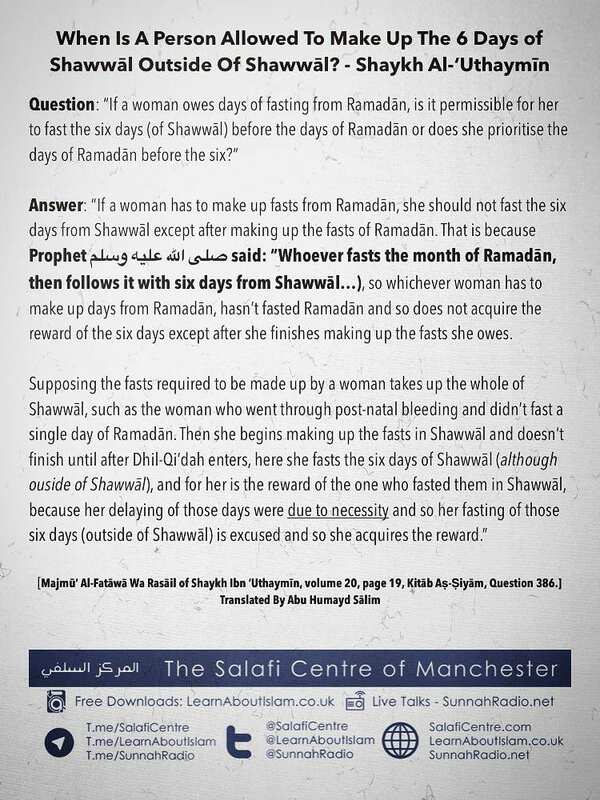 Answer: “If a woman has to make up fasts from Ramadān, she should not fast the six days from Shawwāl except after making up the fasts of Ramadān. 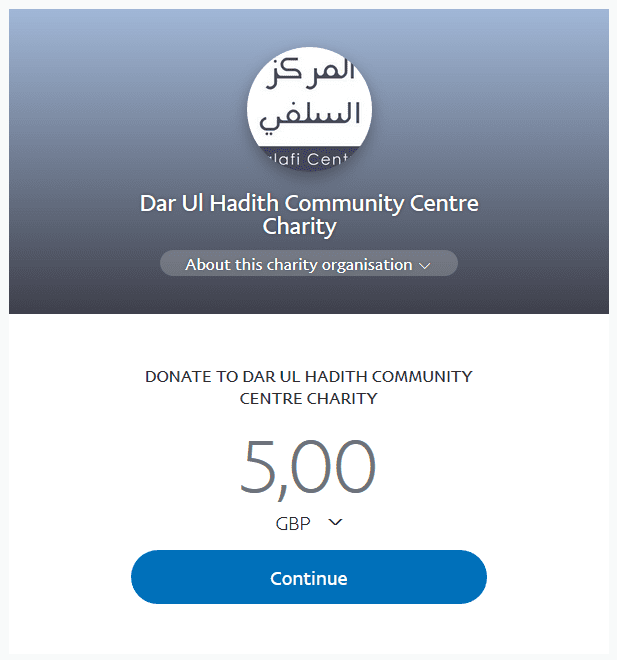 That is because Prophet صلى الله عليه وسلم said: “Whoever fasts the month of Ramadān, then follows it with six days from Shawwāl…), so whichever woman has to make up days from Ramadān, hasn’t fasted Ramadān and so does not acquire the reward of the six days except after she finishes making up the fasts she owes. Majmū’ Al-Fatāwā Wa Rasāil of Shaykh Ibn ‘Uthaymīn, volume 20, page 19, Kitāb Aṣ-Ṣiyām, Question 386.